History is full of ‘tortured geniuses’ — painters, poets, artists and architects considered leaders in their field who, behind-the-scenes, have suffered from psychological illness. 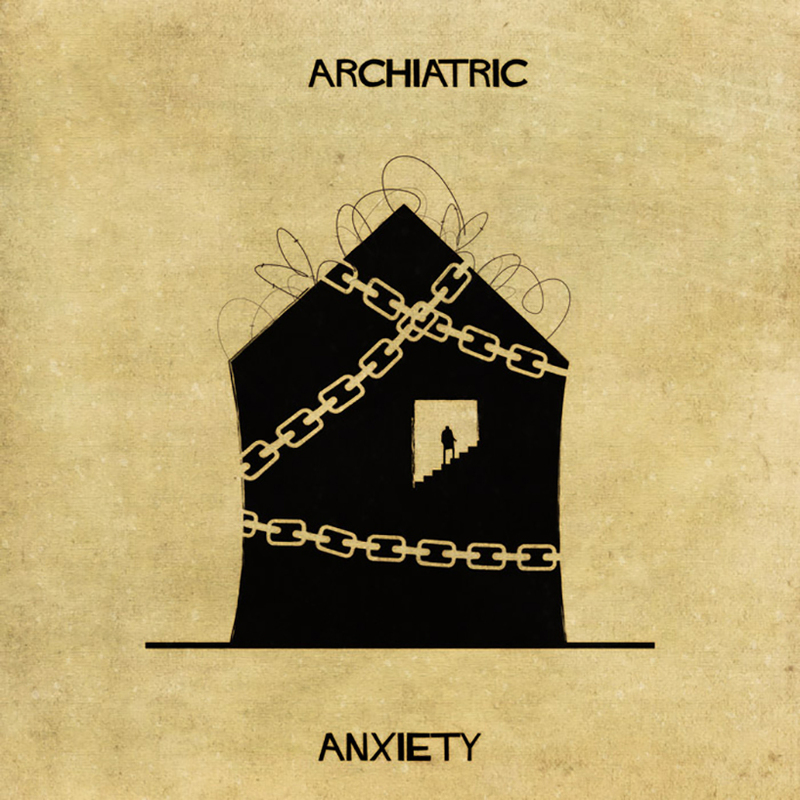 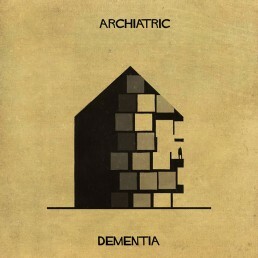 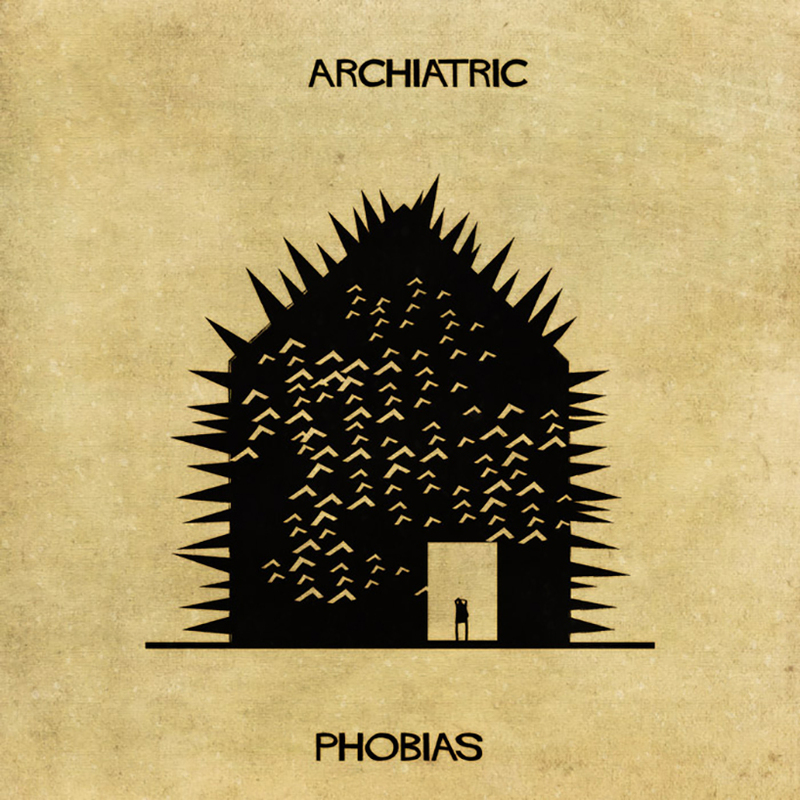 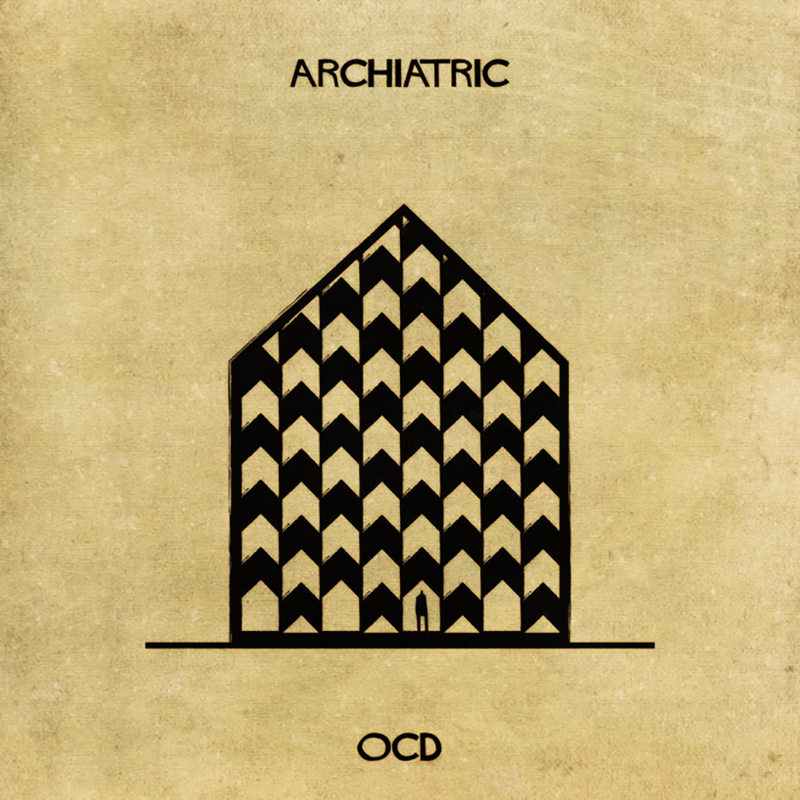 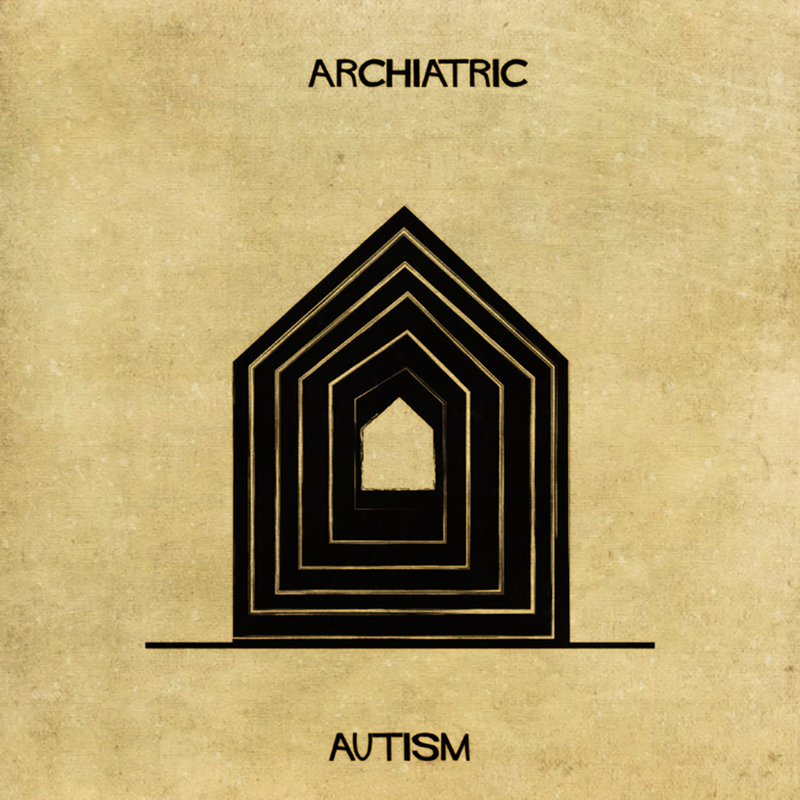 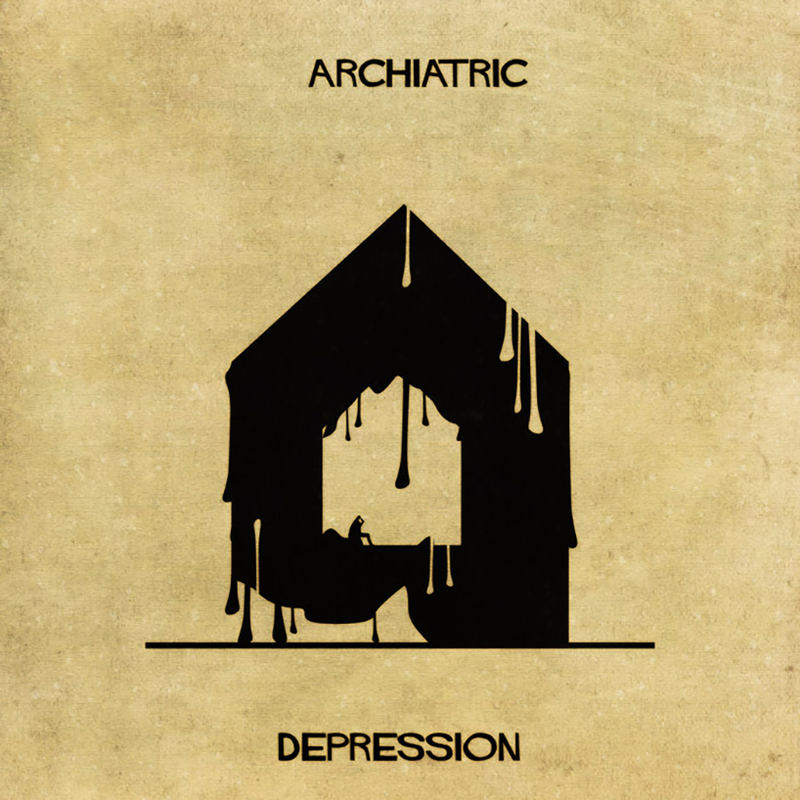 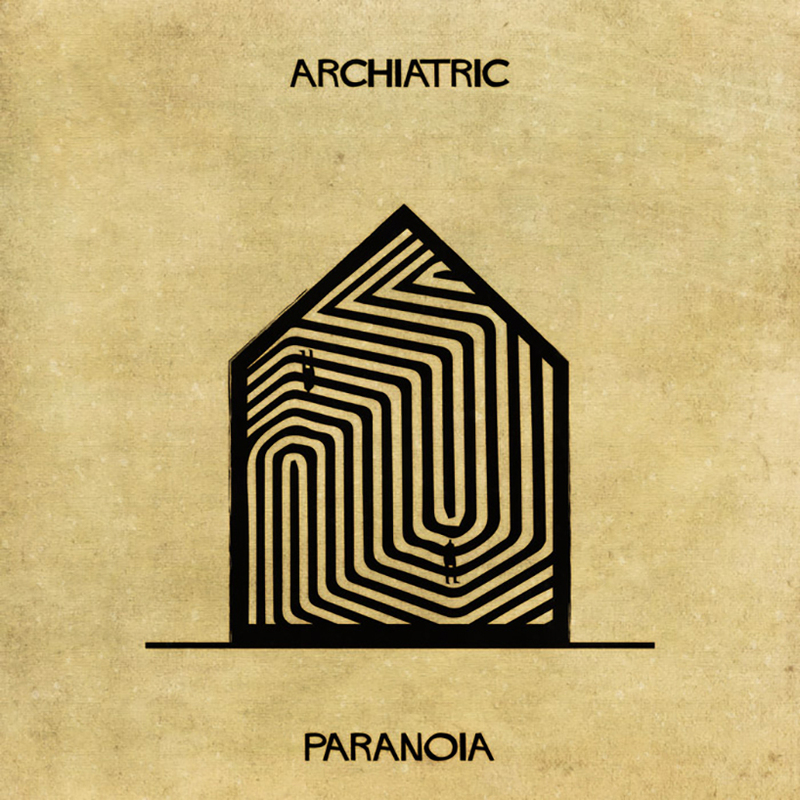 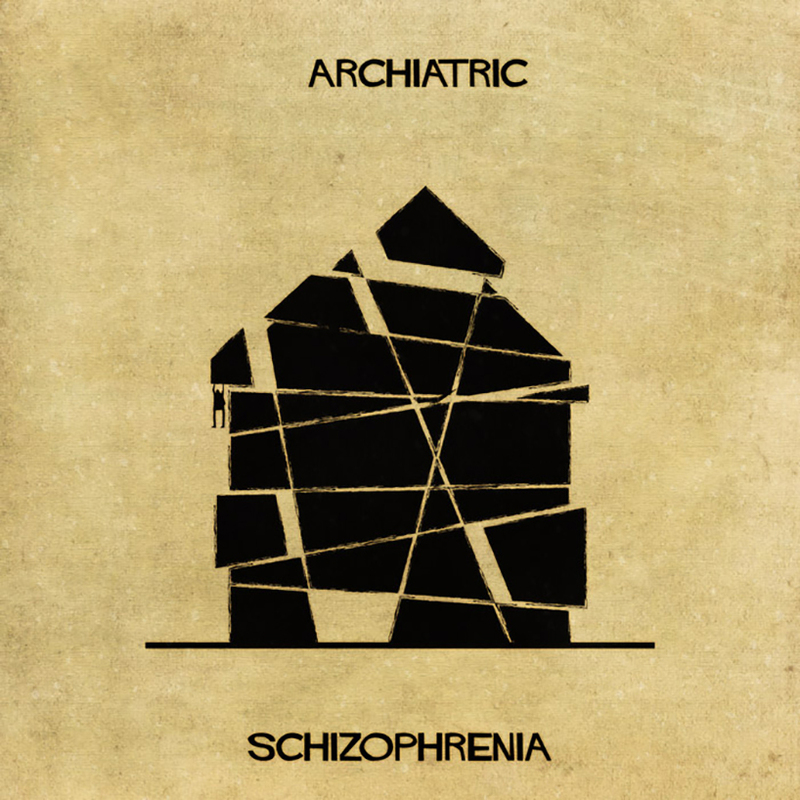 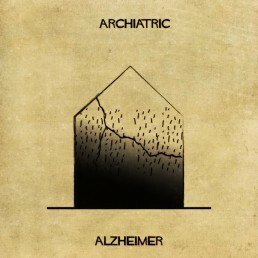 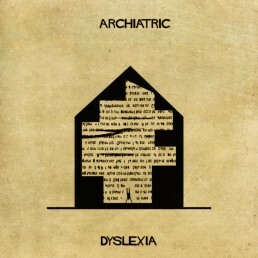 Italian illustrator Federico Babina explores this topic through his latest series ‘ARCHIATRIC’, which forms an illustrated reflection of the relationship between creativity and psychopathology. 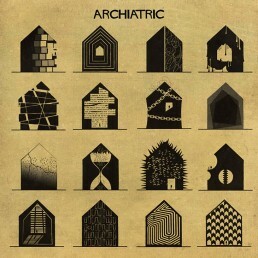 An animated video and accompanying collection of drawings interpret various mental states through architectural forms. 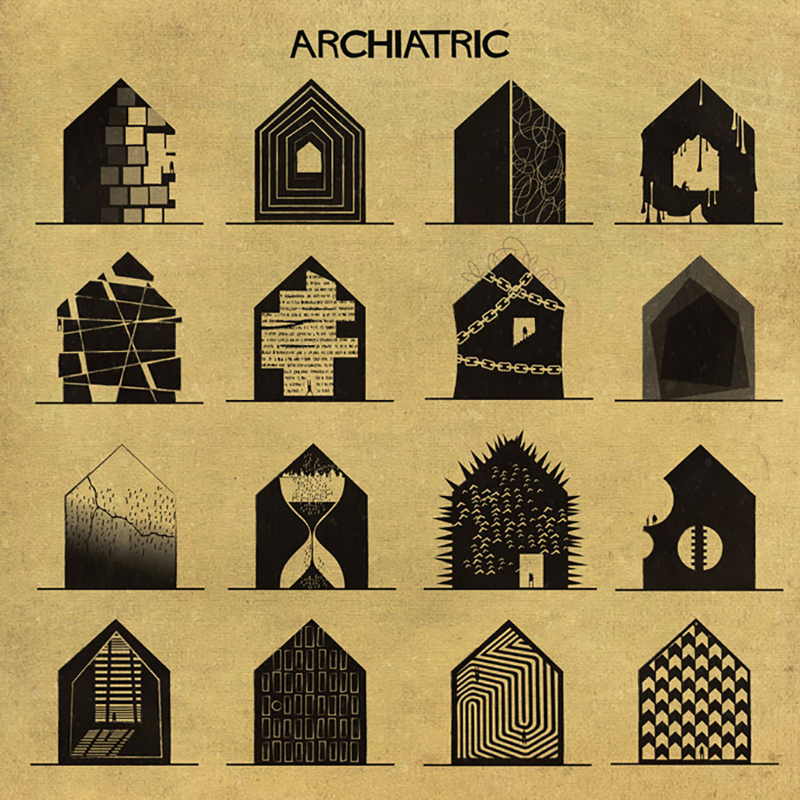 ‘In this series of images, I make an abstract exercise of translating one language to another,’ Babina says. 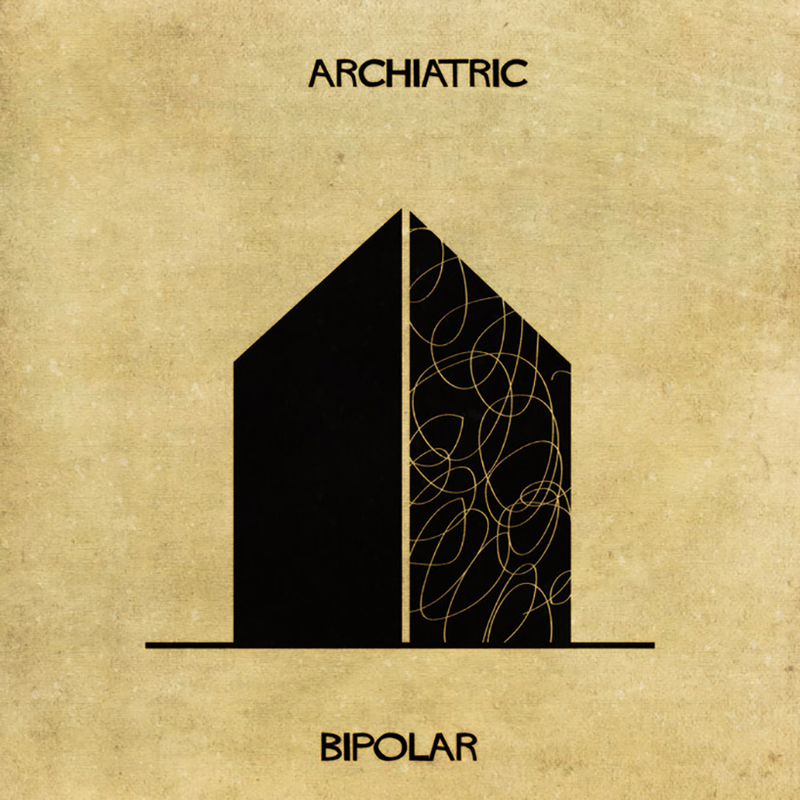 ‘It is quite true that architecture and the spaces that we live in influence our behavior and psychopathology,’ Babina continues, ‘who plans spaces plans attitudes, behaviors and emotional experiences’.